Brick Body Kids Still Daydream ends with the power of destruction. 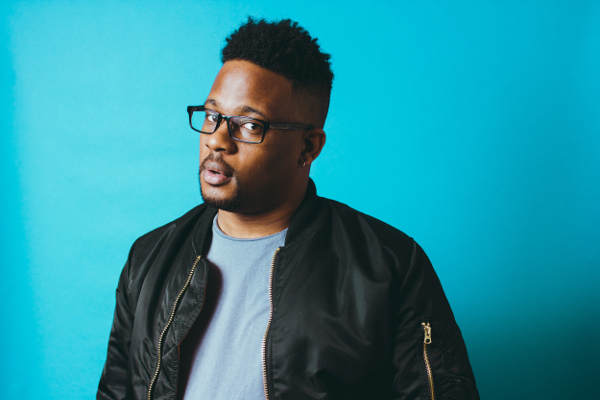 On 'My Auntie's Building,' Open Mike Eagle emits a string of desperate pleas in a last ditch effort to save the Robert Taylor Homes projects of Chicago, Illinois. That was over a decade ago, the lot that formerly housed people, kids, "drug dealers and church folk," now sits vacant. Always one to be cognizant of cruel metaphors and ironies, OME's return trip home, categorized by a lugubrious view of desolate land of flighty hopes and dreams, opened his eyes to the ways America treats lower class citizens, especially those of African American descent. "They say America fights fair but they won't demolish your timeshare," he cries out as filthy Industrial synths parade around his misery. All that angst, apathy, and ruthlessness comes crumbling down by album's end, as the Iron Hood chronicles the dissolution: "that's the sound of them tearing my body to the ground," which, in turn, reveals the origin of Brick Body Kids' abstract cover. Open Mike Eagle's latest effort is his most earnest, personal, and mature yet, replacing much of his tongue-in-cheek comedy with the brutality of childhood eradication. Unfortunately, due to this, the production takes a backseat. There's something to be said about the bleakness Brick Body Kids forms with repeated listens. For those who know of OME's work, especially his breakout 2014 LP Dark Comedy, the tragedy he plants under constant quips, wits, and jokes is nothing new. Like a satirist penning a cartoon bound for the funnies, OME never fails at poking holes through the establishment; whether it be political, cultural, or societal. However, this time around the humor's replaced by nostalgia and hope, as we see on the opening track 'Legendary Iron Hood.' The production, handled by LA stalwart Exile, scratches along with a summery breeze and subsequently draws comparisons to the sentimental contradictions he and Blu conjured up on Below The Heavens. Brick Body Kids abides by the same logic, circumventing a child's zealous coda of "ain't nothing gonna stop me now" with the harsh reality coming from the powers that be. When the album loops back, the demolition complete in spite of OME's petition to not "knock me down," knowing the future of that imaginative Iron Hood increases the melancholy ten times over. 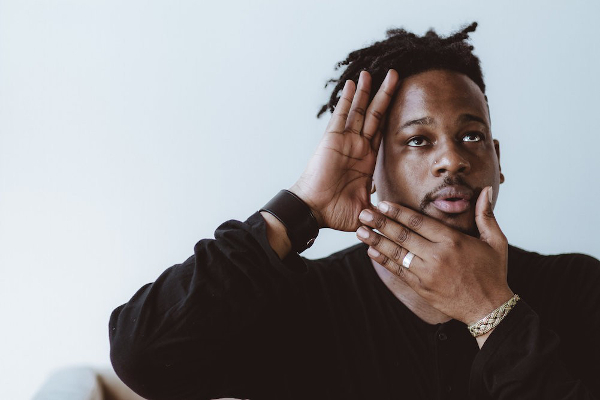 It doesn't stop there either, as each song that focuses on nostalgic ardor, like 'Daydreaming In The Projects' or '95 Radios,' surges with sentimentality knowing the origin no longer exists. Because of this focus on reliving a homegrown mentality, the production admittedly takes a conscious backseat to allow for maximum reflection. This, in comparison to the excellent collaboration with Paul White last year in Hella Personal Film Festival. Diverse, eclectic, and thematically cohesive, OME's fantastical tales spanning that LP worked in unison with the equally strange and dazzling array White presented. Here, much like Dark Comedy, OME returns to working with a swarm of producers all attempting to achieve the same goal. That being the conception of relatively tame left field beats that peruse the databanks of the near future. Tracks like 'Daydreaming,' 'TLDR (Smithing),' and 'Wedding Ghosts' match fabricated drums with buzzing synths, falling right into OME's wheelhouse as seen on 'Deathmate Black,' 'Doug Stamper (Advice Raps),' or the mostly electric A Special Episode Of. In this sense, Brick Body Kids lacks an identity. The imagery and rumination constantly afoot in OME's lyrics and tone rarely find a home in the production. Nothing here is bad mind you, just out of place given the gravity presented. A few tracks, like 'Hymnal's' rhythmical procession or '95 Radios'' Boom Bap throwback, counteract this by conforming to the walls of a housing project filled with hope. Although it amounts to relatively little, the two lead singles failed wholeheartedly at conveying the actions and moods found within Brick Body Kids, despite them both succeeding in their own right. Initially unmoved by '95 Radios,' the retrofitted cruiser excels by harkening to Jazz Rap's mid-90's leisure time; a la Stakes Is High. Then, with 'Brick Body Complex,' Trap-influenced hi-hats and a cacophonous sound akin to Busdriver's Perfect Hair reveals itself, profiting off a rare moment where OME musters a hook catchy enough to be repeated. Yet, the general tone of Brick Body Kids aligns with neither, or, more accurately, represents a diluted mixture of both. The best tracks sonically are those that detour the furthest, like 'Breezeway Ritual' and 'My Auntie's Building' that follow no linear pattern, or those that embody the preexisting Robert Taylor Homes like '95 Radios' or the crunchy rubble of 'No Selling (Uncle Butch Pretending It Don't Hurt).' It's these last two examples that also showcase OME's diversification when it comes to content, the former finding the wholesome youth scouring the neighborhood for a boombox while the latter enters the hostile underbelly of street machoism. There isn't a corner, crevice, or dingy alleyway OME neglects. He incorporates it all; the good, the bad, and the ugly. Unlike gangster rappers, who endorse the grimy edge, or the conscious rappers who chastise it, OME merely narrates the events as a curious onlooker. In another sad turn of fate, that seems to be Brick Body Kids' purpose; to preserve what's already lost. Like a time capsule unearthed upon his return, or one conceived with what little memories lay strewn about, Brick Body Kids ensures that, no matter how hard those faceless villains on 'My Auntie's Building' try, their home won't ever be forgotten. On album highlight '(How Could Anybody) Feel At Home,' OME proposes how; "everybody’s secrets inspire all of my scenes" he says, while contemplating the relation between he, a successful artist spanning the globe, and them, the nameless trove evicted without commemoration. Lyrically, this may be OME's strongest outing yet, a significant statement given his storytelling on HPFF and his societal funhouse on Dark Comedy. However, whereas the fidgeting sonic palate sounded fresh and tantalizing in 2014, the same can't be said three years later, especially about a topic so grim. Nonetheless, Brick Body Kids Still Daydream should be remembered, if only for the fact that it needs you to.